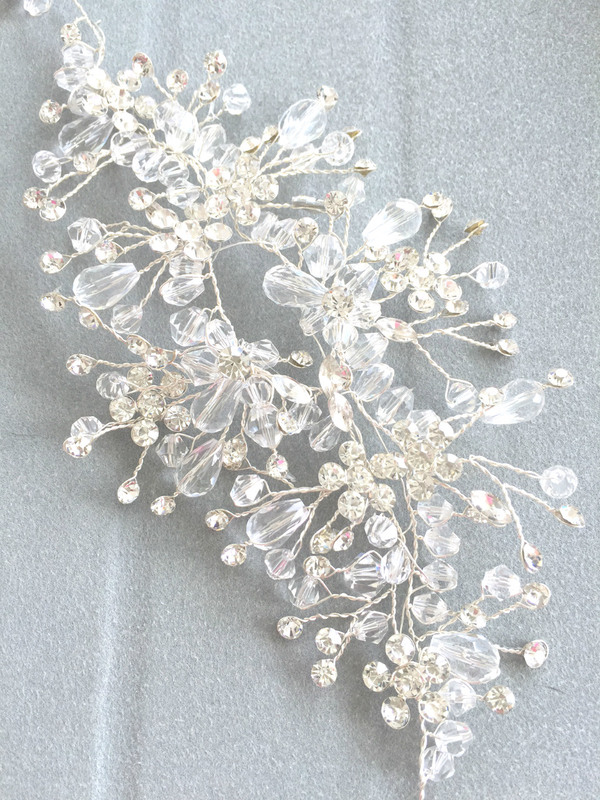 Tags: beaded, bridal, bridal headpiece, crystal, hair accessory, headband. Our beautiful Sophia is our most romantic bridal headpiece. 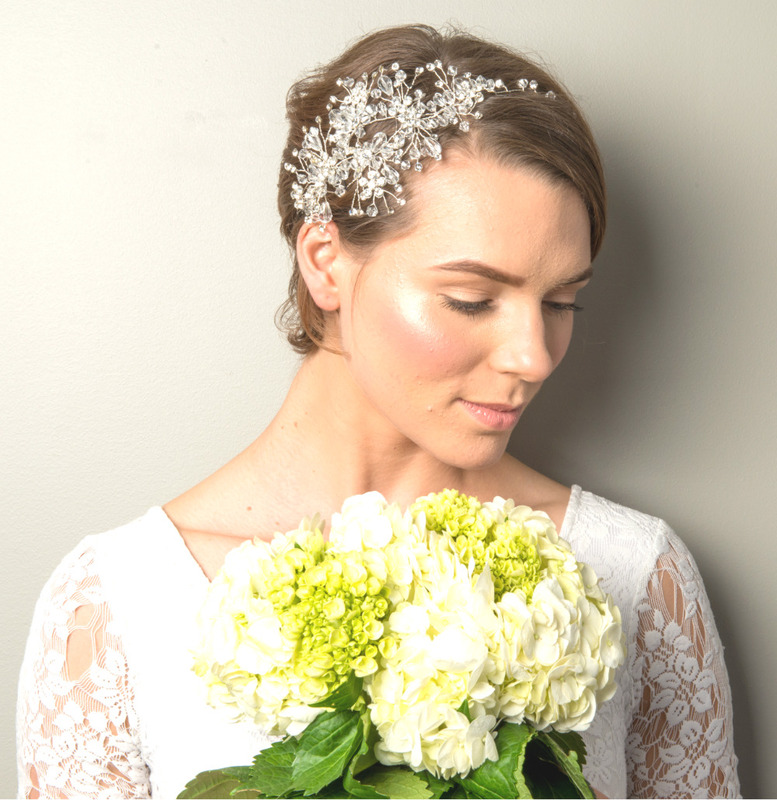 Like her namesake, this delicate crystal beaded hair accessory evokes a romantic fairy tale vibe with a spray of tiny crystals and clear glass beads meticulously interlaced with wire throughout. Each end can be pinned down or tied with ribbon (not included) to finish that perfect bridal hairdo.